← Thoughts from the Book of Friends: concerning ghosts and monsters! Despite having so many youkai appearing on screen, Natsume Yuujinchou was essentially a human story. I have already talked about my thoughts on ghosts and monsters. Now I am diving into the heart of this anime; Natsume and his friends. This seems to be the key message of Natsume Yuujinchou. It wasn’t just ‘don’t judge the book by its cover’. 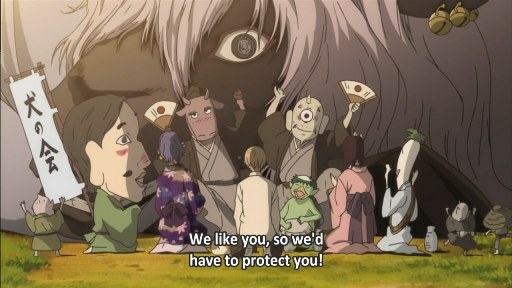 In Natsume Yuujinchou, not only that you can’t judge things on their looks, you can’t judge them on their actions, too. Moreover, the anime occasional implied that we judge other being too much based on our own perspective without truly understanding them. 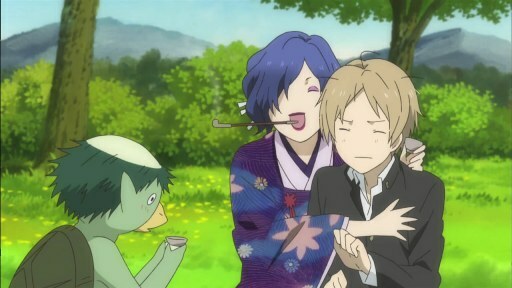 With each new episode, Natsume encountered at least one new youkai. Most of the new youkai would act suspiciously while some of them were outright hostile to Natsume. But not all the hostile youkai were bad. They had back stories that lead them to do what they did. Some were desperate for help. Some were scared and abused. And most interestingly, certain youkai were simply acting according to their nature. I think this is the problem with us humans. We like judging others but we are not even nearly qualified to do so. We can barely see pass the most superficial cover of things and are unlikely to spend time learning the ‘background’ of others. Worse, even when we learn about others’ backgrounds, we will still judge them based on our standard and norms. If there was one thing the anime kept repeating, it’s to listen with your mind opened. Natsume always listens and tried to understand. As a result, despite continuously losing names from Reiko’s book, his personal list of friends grows longer while his list of enemies grows shorter every day. But that does not mean that all youkai can be reasoned with. Understanding is not equivalent to being overly trusting. Being open-minded is not the same as letting your guard down. This is where a powerful but skeptical friend like Nyanko-sensei comes in handy. The true power of Natsume did not come from his gifts but from his friends. 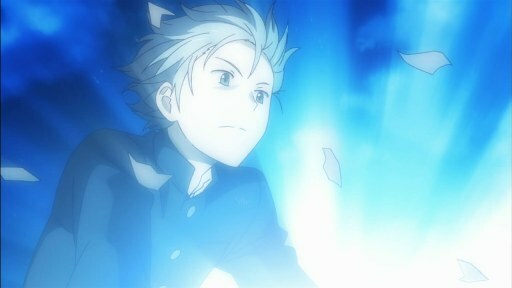 It is true that Natsume possesses great mystical power. Aside from being able to see youkai, he can also overpower them if he cares to do so. That’s why many exorcist clans always keep an eye on Natsume. But with or without his innate power, he would never have survived without his friends. As of the third season, Natsume has amassed quite impressive number of powerful supernatural friends like Nyangko-sensei, Hinoe and Misuzu. Having these ‘magical friends’ behind him, Natsume can deal with the most dangerous threats from both evil spirits and evil human sorcerers. Hinoe said it best in the final episode of the third season. She said that Natsume was weak and helpless but if he ever asked for help, she and her friends would have no choice but to answer. 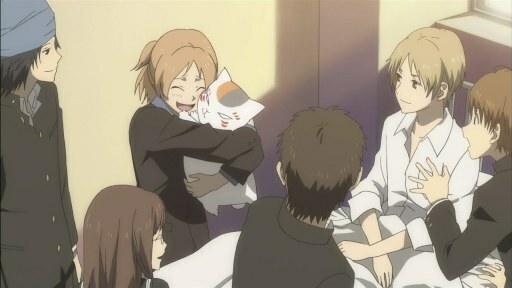 And let’s not forget about Natsume’s real life friends who were equally, if not more, important to Natsume’s life. Tanuma, Taki and Natori were humans who understood Natsume’s obligation to the unseen world and his suffering. They were the ones who kept Natsume anchored to the human’s world and gave him a place in high school. But no real life friends were more important than Touko and Shigeru Fujiwara who provided Natsume the most valuable thing in anyone’s life; the place to go back to…home and family. These friends made Natsume strong, motivated and magically powerful, despite being mere human and weak. ps. Career update: I have secured a position as a rheumatology fellow for the next two years, starting this June. So my training continues…yay?! This entry was posted in Articles, Talks and tagged life, Natsume Yuujinchou, Natsume's Book of Friends. Bookmark the permalink. I agree with this one. Most of us are now aware that we can’t judge a book by its cover. So we shifted in judging them based on their actions without knowing that such actions arises from their own background/experiences. I therefore conclude that it is in our nature to judge others. We define what’s normal and what’s not. Thus, we, ourselves, set the standards which is, for me, very much subjective. Natsume Yuujinchou is my all time favorite because it teaches its viewers values that are hard to find in other shows and other forms of media. I feel like my post expressed somewhat negative view towards human nature. The truth is that being judgmental is probably our own nature which we should try to understand it rather than outright reject it.